The great thing about these custom room boards is that while lots of people know what they like, they aren't sure where to put furniture, what paint colors to use and how to put things together to get the look they want. I try to find items that are relatively inexpensive for us "normal people" all with the intent that you may find something comparable at your local Home Goods or Target (though a lot of times my recommendation is from Target - Threshold forever!). 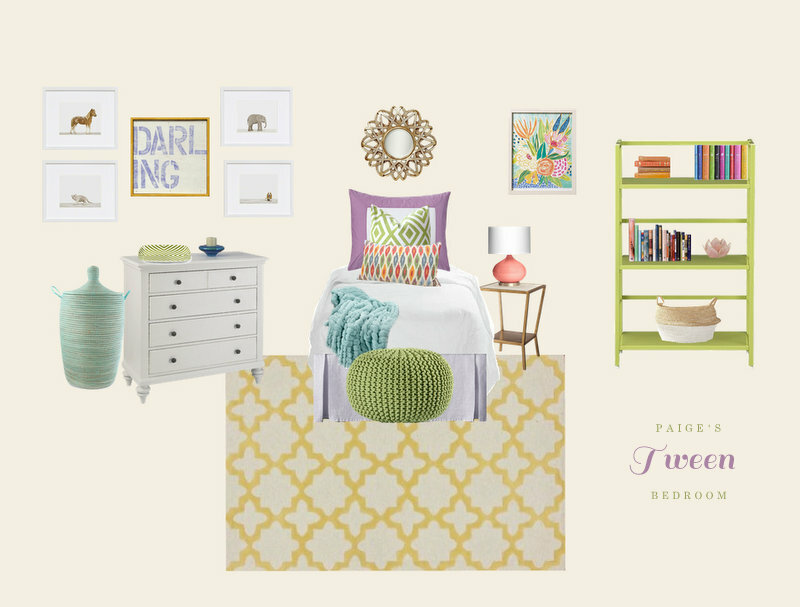 Here's a "tween" room that I just created for one of my clients whose daughter loves animals (aren't these Animal Print Shop prints the cutest?). I think it turned out really cute and my client loved it! I die over every design board you do, Elizabeth! You just have the gift! As soon as we can dedicate a little money to some redecorating, I am totally hiring you for some help!